Pets can bring great joy, comfort, and love to our lives. Nevertheless, a well-behaved pet is certainly more pleasant company than is an ill-mannered, obstreperous, or rambunctious pet. Fortunately, training can help maximize the joy we receive from our pet. Just like we educate our children, where the process benefits both parent and child, dog training benefits both human and canine family members. If your pet needs to learn more obedience, better household manners, or better social skills to achieve more quality time and less segregation, then the accomplishments of training will help you and your dog to have a higher quality of life together. And if your pet is already well behaved, he/she may enjoy the challenge of learning a new skill and the fun time with you that occurs during the activity. Effective dog training improves the communication between you and your pet and strengthens the human-animal bond. You will better know what your dog needs and wants and he will better know how to respond appropriately. In addition, an Atlanta pet that has completed training is free to go more places (dog parks, certain retail stores, pet therapy, et al) than is a poorly behaved, anxious, or aggressive pet. Therefore, instead of staying home alone, your dog can join you during more family activities. There are a number of avenues for training your dog at CPT, including group classes, private instruction, in-home private instruction, remote private instruction, and board training. Therefore, regardless of your dog’s age, breed, or problems or the goals you have for training, there is certainly a CPT program that will satisfy your needs and budget. And regardless of whether you live in Atlanta, another area of Georgia, or another state, CPT can help. Although most of our clients are from Atlanta, CPT has trained dogs from many other states, including New York, California, Pennsylvania, Ohio, Oklahoma, Louisiana, Alabama, South Carolina, North Carolina, and Tennessee. Chihuahua or Mastiff, puppy or senior, basic obedience or off-leash obedience, confident or anxious, friendly or aggressive, we can teach your young or old dog new “tricks” and improve his/her behavior. All it takes is patience, persistence, and the guidance of a professional CPT Trainer. Your dog will enjoy pleasing you. Moreover, it is rare when a CPT trained dog does not meet his/her owner’s objectives. So, make jumping, pulling, housebreaking accidents, chewing, barking, anxiety, and/or aggression a thing of the past and make obedience, a calm demeanor, confidence, and increased pleasure a thing of the future. You will enjoy having one of the best trained dogs in your neighborhood (or maybe even in all of Atlanta). Then, if you wish to expand your dogs skills, consider agility classes, tricks, scent work, tracking, or competition obedience. Your dog’s horizon is great as a CPT student. The listed advanced activities are enriching experiences for everyone involved. 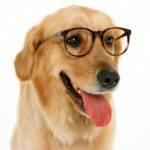 And just like us, your dog will enjoy the challenges of an advanced education. Therefore, whether your dog is already excellent or could definitely use some improvement and whether you live in Atlanta or anywhere else in the USA, we encourage you to explore the group classes, private programs, and board training programs provided by CPT. Atlanta residents certainly have the most convenience and options. However, we fly out of state for consultations and have out of state dogs flown to Atlanta for board training. Therefore, regardless of where you live, please consider CPT. You will be glad you did. The advantages of CPT Training are wonderful for both owner and dog.